The London 2012 Paralympics star joined Care Management Group in hosting competitors taking part in over 20 events. 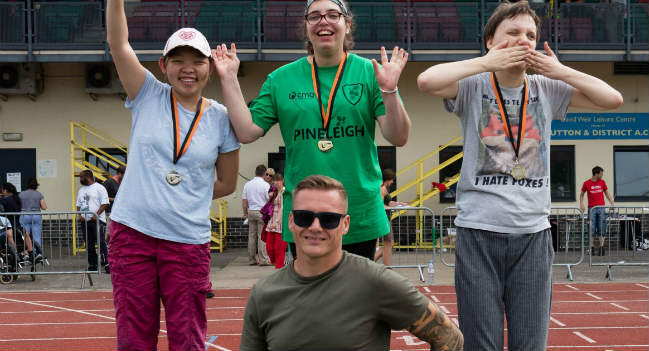 Multi gold-medal winning Paralympian David Weir handed out over 200 medals at Care Management Group’s annual athletics championships. Staged at the David Weir Leisure Centre in Croydon, South London, hundreds of individuals with learning disabilities took part in the service providers’ sporting showpiece. “For over two decades, we have worked to support individuals with particularly complex needs, including those with autistic spectrum conditions, mental health needs, and profound and multiple learning difficulties,” CMG said.